It’s hard to believe it’s been a whole year since we launched our Gloomth’s Haunted Circus themed line! This line contains some of my favorite designs, and it’s accompanying photoshoot was an awful lot of fun to create. 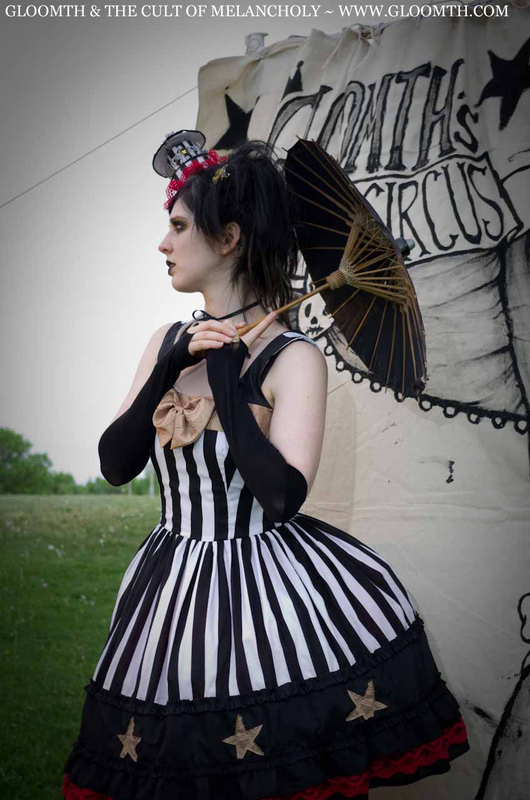 Inspired by sideshows, vintage circus costumes, and blended with our own signature strangeness. 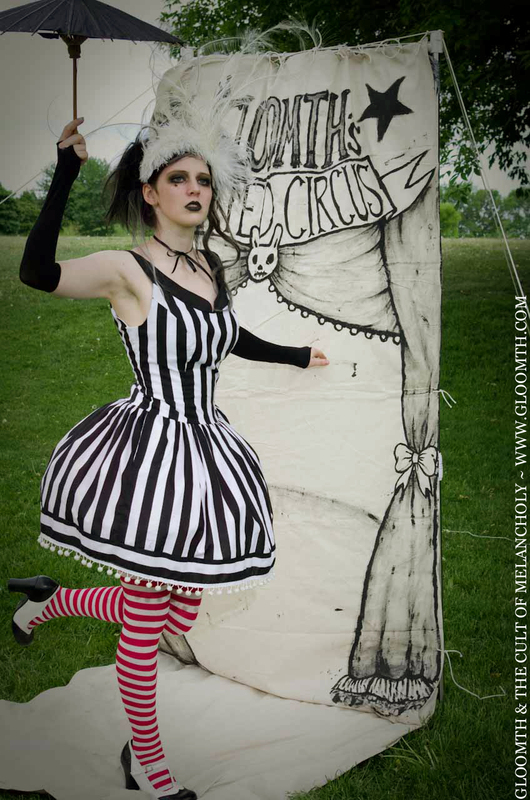 10% off any Gloomth’s Haunted Circus themed design! Just put that code in at checkout to redeem your discount! It does not apply to shipping charges and only applies to our Haunted Circus designs. This discount is only good for 1 week (from May 27th to June 3rd).